This band formed in Sydney, Australia in 1973 by Scottish brothers Malcolm and Angus Young. They became famous for their antics on stage during their live performances in which the main guitarist (Angus Young) always dressed up in a schoolboy uniform. 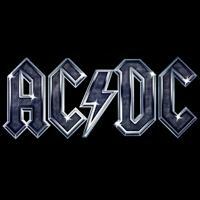 The band`s biggest hit record was Highway to Hell (1979) which sold over a million copies. They have sold over 150 million records worldwide, 71 million of which were sold in the United States. Vote and help decided which of their albums were the greatest.